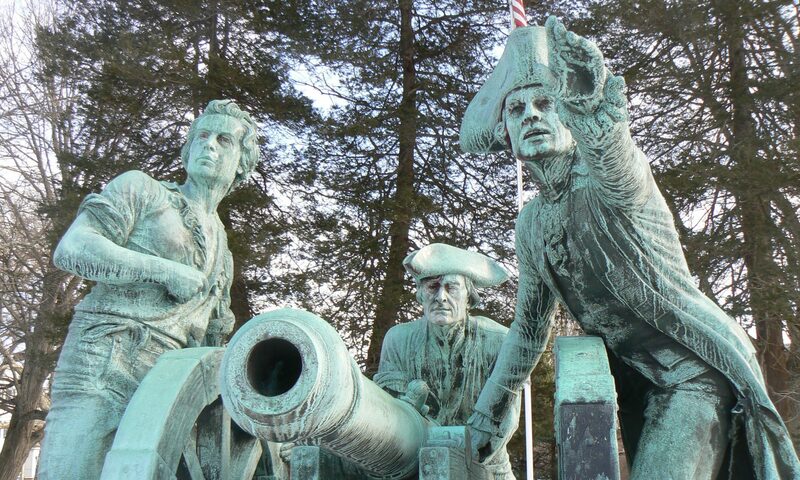 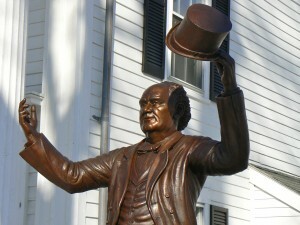 We’re a bit late on this one, but Bethel dedicated a new statue honoring local son P.T. 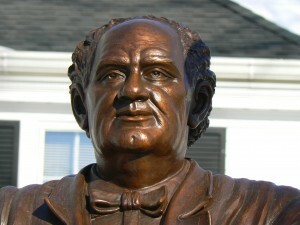 Barnum in September. 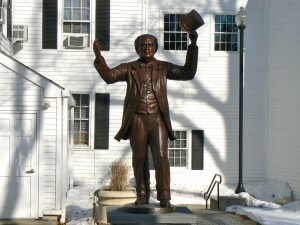 The six-foot statue, by local artist Dave Gesualdi, stands along Greenwood Avenue outside the public library. 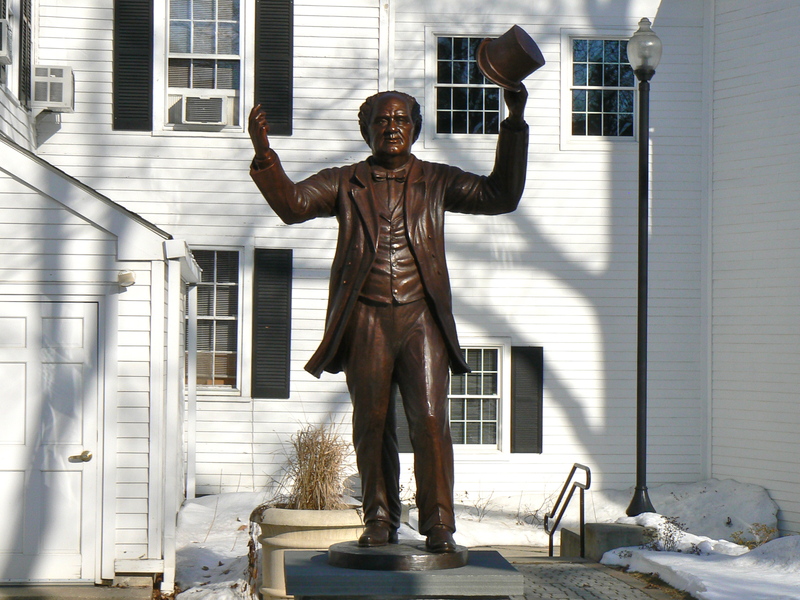 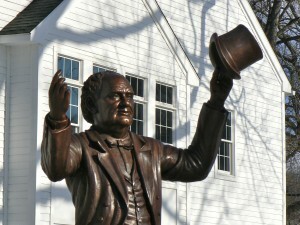 The statue, dedicated to mark the 200th anniversary of Barnum’s 1810 birth in Bethel, depicts Barnum raising his hat as he departs the town to seek his fortune. Barnum’s career would include creating a curiosity museum in New York and the circus that still bears his name, as well as political and charitable contributions to Bridgeport. We visited Dave’s studio last March, as the sculptor was creating the statue in clay, and were impressed to see the final version in its outdoor setting.